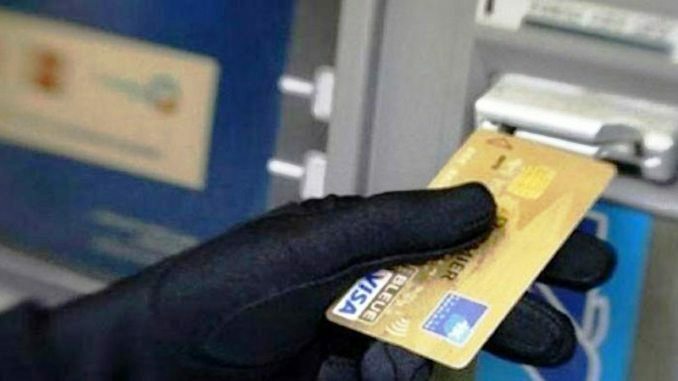 Cybercriminals are poised to attack Automated Teller Machines (ATMs) worldwide in the next few day according to intelligence reports from the Federal Bureau of Investigation (FBI),the domestic intelligence and security service of the United States. The agency in a confidential alert to banks warned that cybercriminals are planning a global fraud scheme using malware to take over ATMs and steal millions of dollars. The global ‘cash out scheme’ known as Automated Teller Machine (ATM) ‘jack-potting’ enables fraudsters to carry out a massive attack and make ATMs dispense more money in the space of just a few minutes. In Nigeria, the Central Bank of Nigeria (CBN) has already advised banks and other financial institutions to raise their security and safety bars against possible attacks. The country’s financial regulator, weeks back, announced it was working on a new risk-based cyber security framework for financial institutions to further safeguard against online breache. According to the FBI, cybercriminals hack into a banks system and access user data and can alter changes in an account’s information to enable cash machines to dispense more cash until they are empty. This gang of organised criminals group together to access different cash machines and empty them before the banks reacts. “The FBI has obtained unspecified reporting indicating cybercriminals are planning to conduct a global Automated Teller Machine (ATM) cash-out scheme in the coming days, likely associated with an unknown card issuer breach and commonly referred to as an ‘unlimited operation,’ states the FBI alert to banks obtained by cybersecurity expert Brian Krebs. The alert further warns that small-to-medium institutions and others lacking a robust cybersecurity framework could yet again be vulnerable to these attacks that are likely to continue or increase in the near future. “Historic compromises have included small-to-medium size financial institutions, likely due to less robust implementation of cybersecurity controls, budgets, or third-party vendor vulnerabilities. The FBI expects the ubiquity of this activity to continue or possibly increase in the near future,” reads the alert. Krebs also explained that these attacks are mostly carried out during weekends. “Virtually all ATM cashout operations are launched on weekends, often just after financial institutions begin closing for business on Saturday,” said Krebs. With the increasing level of cyber attacks, stakeholders are worried about the vulnerability of the country’s cyberspace, calling for a robust security framework. According to a new cyber-security report, more than $649 million is lost every year to cyber attacks and another N237 billion are deemed to have been lost by Nigerian banks to cyber fraud since 2007.